“There was some discussion of partnering with a Caribbean country because of potential trading links and proximity,” explains Teresa Mellish. “This has given our family an international perspective which has changed the way we see the world and its challenges. 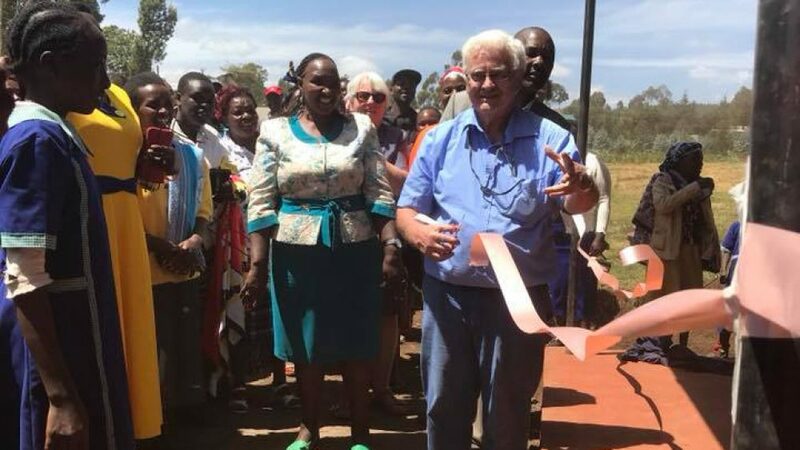 We communicate with our Kenyan partners almost every day and we share in their successes and work with them to try and improve their lives,” said Mellish. It was an eventful trip on many fronts. The Islanders began their work with the Muchui and Ruuju women’s groups that has led to tremendous progress in those communities – including screen house gardens, school gardens, improved nutrition and food security. Patsy Dingwell was part of the 2002 trip and launched the School Twinning program that has connected a generation of P.E.I. students to their peers in Kenya. In 2018, there are now 17 Canadian schools and churches paired up with schools in Africa. They write letters twice a year, letters treasured by the students in Africa. Dingwell says the School Twinning program encourages empathy and understanding in both groups of students. The connection has also led to fundraising projects on P.E.I. on behalf of their Kenyan schools, to the tune of about $20,000 a year. Farmers Helping Farmers took another giant step forward in 2004 when the group formed a partnership with the Atlantic Veterinary College and U.P.E.I. Dr. John Van Leeuwen made his first trip to Kenya that year, with a number of his vet students. He has travelled to the African country every year since then. His work with dairies in Kenya has dramatically improved the health and productivity of cows, which in turn has benefited the families who depend on them for animal source protein and income. Rosemary Herbert, past president of Farmers Helping Farmers, traveled to Kenya in 2013. “Students and volunteers who travel to Kenya are enriched by the experience and receive far more than what they give,” Herbert explains. “The Kenyan families have a higher level of food security, meaning they are not as stressed about where their next meal is coming from,” says Mellish. While there have been many successes, Farmers Helping Farmers has also faced its share of challenges. The group had partnered with CIDA since 1980, with the government organization boosting fundraising dollars, $3 for every $1 raised by Farmers Helping Farmers. But with the evolution of CIDA, Farmers Helping Farmers is now looking for new ways to raise funds for its ongoing work in Kenya. The fundraising has continued at the grassroots level. There is the popular barbeque every August at the Harrington Research Station. The Farmers Helping Farmers Holiday campaign also generates much-needed funds. The group also received a generous bequest of $400,000 from an Islander that has helped them to continue the work in Kenya. You can “like” Farmers Helping Farmers on Facebook and follow @FarmersHelping on Twitter.